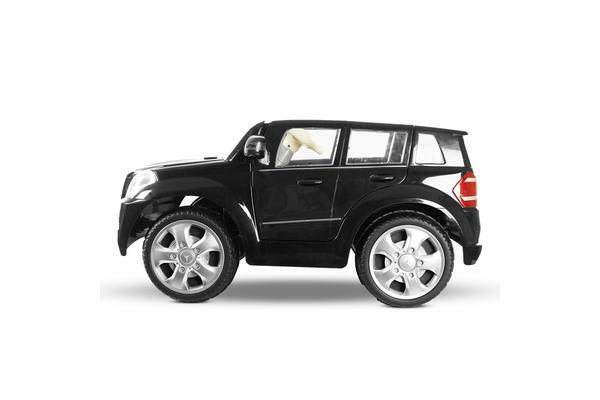 This officially-licensed Avigo Mercedes Benz GL-450 Kids Ride On Car is just perky and responsive. 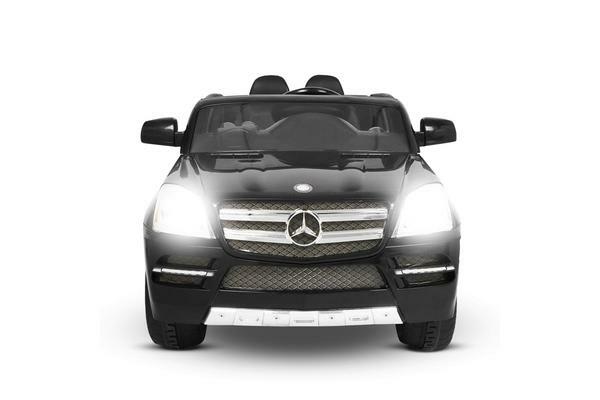 The kid’s version Mercedez-Benz SUV certainly looks the part with its imposing front end and striking paintwork that complements the sculpted styling. 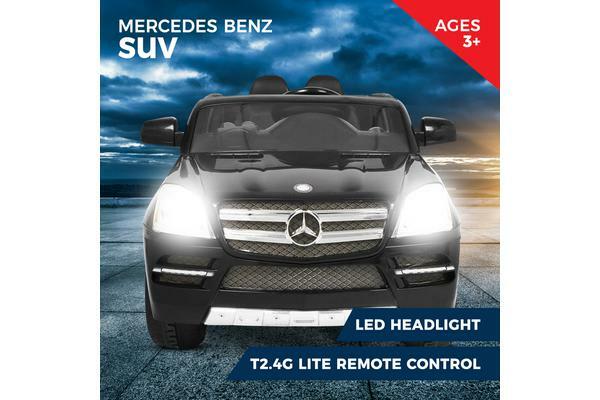 Open the doors and you’re welcomed with all the essentials of great fun on the dashboard: keyless start, dual horn buttons, speed control, forward/reverse switch and the MP3 connectivity for more built-in music and stories that will keep your kid entertained for hours. Start the motor, and the 36W motors come alive for up to two hours of exhilarating fun on a full charge with its 6V battery. Safety first measures include a unique soft speed system to prevent jerky starts or sudden stops, anti-slip tyres for good traction, stable four-wheel suspension and an adult remote override control for a quick takeover of the ride when circumstances need intervention.